Camper on nearly 10 acres of Wisconsin hunting land for sale. 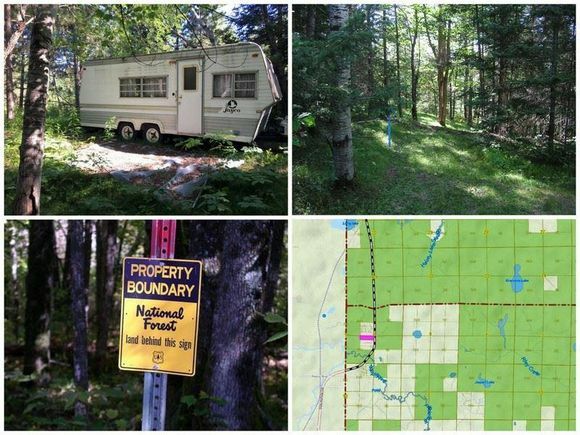 Property adjoins & is surrounded by 1000's of acres of Nicolet National Forest for hunting, hiking, ATVing & snowmobiling. Boat, fish, swim at nearby Long Lake, Halsey Lake & Fay Lake. If you're looking for Wisconsin real estate for hunting AND enjoying all the classic northern recreational pursuits go check out this listing. A gated private road adds to the seclusion and private. Please get in touch for location map & property landmarks & info about the camper. From Long Lake, Wisconsin: south on Hwy 139 three miles to private gated road to property on right, Nicolet Preserves Rd. Look for signs. The details on NICOLET PRESERVES ROAD: This land located in Fence, WI 54542 is currently for sale for $29,900. NICOLET PRESERVES ROAD is a – square foot land with – beds and – baths that has been on Estately for 643 days. This land is in the attendance area of Florence Middle School, Florence High School, and Florence Elementary School.